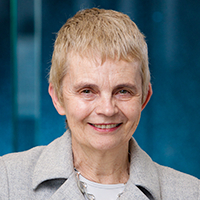 Cheryl Saunders ist emeritierte Professorin für öffentliches Recht und Verfassungsvergleichung an der Universität Melbourne. Michael Henry Yusingco ist Rechtsanwalt und Politikberater und Non-Resident Research Fellow an der School of Government der Universität Ateneo de Manila in Quezon-City. President Rodrigo Duterte assumed office in July 2016, His party, PDP-Laban, had campaigned under the slogan: “No to Drugs, Yes to Federalism”. Duterte thus is committed to shepherding the Philippines towards a federal form of government; an undertaking that would require an extensive overhaul of the country’s constitution. Proposals for federalism are not new to the Philippines. Federalism was considered in 1899, in connection with the first Constitution of the Philippines and has been intermittently on the agenda again since 2001. Historically the idea of federalism was prompted by the geography of the country and the diversity of its people. More recently, it has been driven also by concerns about development, in a country where power and resources are heavily concentrated in the capital, Manila. From this perspective it sometimes is associated also with proposals to move from a presidential to a parliamentary form of government. To complicate the matter further, the present debate on federalism overlaps with a separate process to create a new autonomous region in Mindanao, to finally resolve a long-running, separatist conflict. President Duterte comes from Mindanao and supports this process too. Creation of the autonomous region requires enactment by Congress of a Bangsamoro Basic Law (BBL), to implement the provisions of a Comprehensive Agreement on Bangsamoro, signed by the then government and the Moro Islamic Liberation Front in 2014. In the absence of any detail about the form that federalism would take, it is unclear how these two proposals relate to each other. Strategically, there may be advantage in enacting the BBL first, requiring any federal system that is subsequently put in place to be adapted to it. Within six months after his election, in December 2016, President Duterte issued Executive Order No. 10 to establish a Consultative Committee on constitutional reform. The mandate of the committee was to “study, conduct consultations, and review the provisions of the 1987 Constitution including but not limited to the provisions on the structure and powers of the government, local governance, and economic policies.” It was to report to the President within six months after it was convened. Thereafter, however, there was a long delay before 19 members of the committee were appointed in January this year. The committee is headed by former Chief Justice Reynato Puno and comprises former jurists, officials, legal practitioners and scholars. Appointees include former Senate President Nene Pimentel, a long-term advocate of federalism and several members from Moro communities. The delay in appointing the committee may be attributable to other matters with which the President had to deal in 2017. One was his administration’s self-declared War on Drugs, during which a high number of unsolved deaths occurred in police operations, attracting considerable criticism. Another was the bloody encounter between government troops and the ISIS-inspired Maute Group in Marawi City, Mindanao which prompted President Duterte to declare martial law over the entire Mindanao region. Once appointed, however, the committee was directed to produce a draft federal constitution by June. This would enable the President to announce the draft in his State of the Nation address on 23 July, endorsing it to both the Senate and the House of Representatives, initiating the process of constitutional change. One possible scenario was a plebiscite to approve the changes in October. However, there is presently considerable doubt about whether such a time-table could be met. So far, the committee has announced two major decisions: to retain the presidential structure of government and to propose a constitutional provision regulating political dynasties. Political dynasties are endemic in Philippines politics and this latter proposal met with public support. Puno described it as a sine qua non of creating a federation, in which political dynasties could assume even greater power, unless checked. The proposal is somewhat sensitive, however; President Duterte himself is the patriarch of a political dynasty. The future of constitutional change under Duterte in any event is uncertain for a series of constitutional and political reasons. Critically, some of the most pressing of these concern the process of constitutional change itself. Three Constitutions of the Philippines require explanation for this purpose. The first is the Constitution of 1935 , prepared in anticipation of independence, finally granted by the United States in 1946. The second, the Constitution of 1973 , offered the colour of legitimacy to President Marcos’ dictatorial regime. The third is the Constitution of 1987, which restored democracy in the Philippines and is still in effect. All three constitutions provide two modes to initiate constitutional amendment: by Congress acting as a constituent assembly and by a specially elected constitutional convention. A third mode under the current constitution, the popular initiative, is presently a dead letter because the Constitution requires an implementing law that Congress has yet to pass. In all three cases, in any event, valid charter change requires approval by voters in a plebiscite. Both the 1935 and 1973 constitutions were drafted by constitutional conventions. The 1987 constitution was drafted by a Constitutional Commission, whose members were appointed by then President Corazon Aquino, pursuant to the extraordinary authority given to her by a provisional constitution when President Marcos was ousted by people power in 1986. Despite the historical preference for the convention mode, Duterte and his supporters favour use of the constituent assembly, as the practical choice. Elections to a constitutional convention would be expensive and would take far longer than they presently have in mind. Critics of the administration counter, however, that given the significance of the constitutional issues likely to be on the table, questions of time and cost should not dictate the process used. Those who advocate recourse to a constitutional convention also expect that such a body would be less ready to support Duterte than the current Congress seems to be. The memory of then-president Ferdinand Marcos using martial law powers to railroad enactment of the 1973 Constitution, which facilitated his 14-year dictatorship, is still an influential factor in the Philippines. There has not yet been an official decision from Congress on which mode to take. The issue could come to a head if and when the constituent assembly is convened. Advocates of a convention could mobilize their supporters to hinder the amendment proceedings. They cannot get a ruling from the Supreme Court, however, because the choice of procedure to initiate constitutional change is a political question, which is not justiciable. To avert the initiation of constitutional change by a constituent assembly, they can rely only on the power of the people to convince a majority of the members of Congress to reconsider their decision. The 1973 constitution also provided that constitutional change could be initiated by a vote of three-fourths of the Members of the National Assembly. It offers no guidance now, however, because it established a unicameral legislature. Curiously, the 1987 constitution re-established the bicameral legislature but provided for a voting rule closely resembling the 1973 constitution, allowing initiation of change by the Congress, “upon a vote of three-fourths of all its Members”. The wording leaves open the question of whether, when Congress is acting as a constituent assembly, the Senate and the House of Representatives, should vote separately or in a joint session. Relevantly for present purposes, the House has 290+ members and the Senate has 24. The prevailing view is that the two chambers should vote separately. The surviving members of the 1986 Constitutional Commission are unanimous on this point. They are supported by many former members of the Supreme Court and legal scholars. Understandably, incumbent Senators insist that the voting must not be done jointly. But the Speaker of the House of Representatives, Pantaleon Alvarez, has argued that the chambers should vote together should Congress convene as a constituent assembly. Theoretically, this issue could come before the Supreme Court. It becomes justiciable once the constituent assembly is convened and there is disagreement about what the Constitution requires. Significantly, however, the head of the Consultative Committee, former Chief Justice Puno, has already stated on record that, in his opinion, “the issue of whether Congress should vote jointly or separately on Charter change (Cha-Cha) could not be raised to the Supreme Court as it is “beyond its jurisdiction,””. Other obstacles to the timetable for constitutional change may emerge in the coming months. While the Consultative Committee works on its draft for the President, groups opposed to charter change are mobilizing public support for their cause. Some organizations are preparing alternative means of securing the goals that the President seeks through constitutional revision, to encourage voters to resist any attempt to formally federalize the country. Other organizations plan to rally people to protest in the streets. If these social movements reach critical mass before June, it could stymie constitutional change. Meanwhile, to complicate matters further, congressional consideration of the BBL has been postponed to May, close to the June deadline of the Consultative Committee. One of the difficulties with the current process in the Philippines is that there is no clear public support for constitutional change. The contrast with the parallel movement for change in South Korea is stark; one of us has written about this elsewhere. The support that Duterte received in the presidential election cannot be assumed to amount to support for constitutional change of this magnitude. Not all who voted for Duterte are federalism fans; not all who voted for others are against federalization. Both pro- federalist and anti- federalist groups have held rallies recently but with only a few thousands in attendance. Neither side can claim to represent the prevailing popular view. Underlying this uncertainty is a familiar problem. Federalism is an abstract notion, which can be translated into action in myriad different ways. The public has no idea, at this stage, what federalism would entail. People have no way of working out how federalization would affect their lives. This ambivalence, some would even say apathy, to the whole enterprise is the most challenging hurdle of all for President Duterte. Whether he likes it or not, much more public discussion is needed. Only a thoughtful and participatory discourse can give people a level of understanding that enables them to decide whether to proceed with such substantial change or not. The report of the Consultative Committee will be finalised in due course. Nevertheless, this does not automatically mean that constitutional change will proceed this year. Even with the cooperation of both chambers of Congress, constitutional hurdles may delay the process, if not halt it altogether. Whatever the outcome, there is likely to be one positive by-product. The intense debate about whether and how to proceed with charter change may leave Filipinos with a deeper appreciation of the 1987 Constitution. 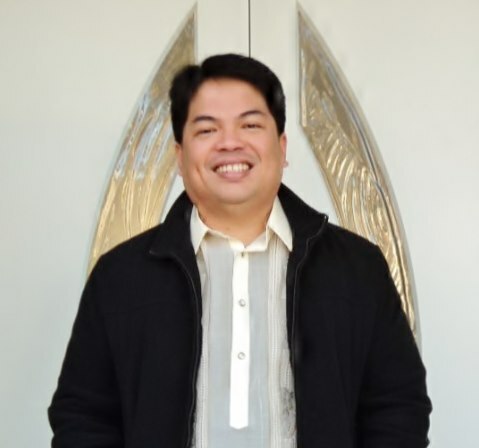 SUGGESTED CITATION Saunders, Cheryl; Yusingco, Michael Henry: Complexities of Constitutional Change in the Philippines, VerfBlog, 2018/4/04, https://verfassungsblog.de/complexities-of-constitutional-change-in-the-philippines/, DOI: https://dx.doi.org/10.17176/20180404-122935.